Hacks and tweaks are all the rage these days, so we thought we’d share one of our favorites with you: Google Tag Manager, also known as GTM. A tag (also commonly called a “pixel”) is a snippet of code that lives on your website and enables you to track what users do when they visit, whether that be click, hover, buy, or bounce. The more you promote your business online, the more tags you accrue. And the more tags you accrue, the more you need to update your website. Which means you’re either spending hours making sure your pages are tagged correctly or you’re paying a developer to do it for you. And, on top of that, you’ll spend more time and money putting together those conversion reports. 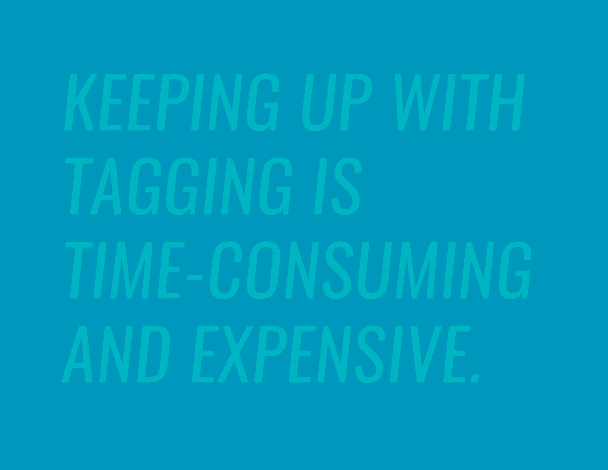 Keeping up with tagging is time-consuming and expensive. And that’s where Google Tag Manager comes in. Rather than manually managing all the tags on your site, Google Tag Manager is a hub that helps you add, delete, and update tags for each page of your site in one convenient location. You place a bit of Google Tag Manager code on your site one time, and then you can house all the individual tags that you would have placed on your site inside Google Tag Manager instead. It saves you development time. Rather than clicking through the containers of your various site pages and scrolling through to find the right tag to update, Google Tag Manager keeps all your tags in one place. Simply create (or click into) the tag you need, and the platform will implement the tag on your site. Updating tags this way also lowers the risk of inadvertently editing the wrong tag or piece of code on your site – a good failsafe if you’re the DIY-type but you don’t have a lot of development or coding knowledge. It makes event tracking a breeze. Traditionally, tracking micro conversions has required placing several tags in a page so those tags would be triggered as a user, say, hovered over a graphic or clicked into a sub-tab. Google Tag Manager streamlines the process by letting you set multiple conditions for each page that would cause a tag to “fire.” This makes it easier for you to capture micro conversion data so you can fine-tune your user experience or sales funnel to ultimately increase your macro conversions. It acts as a data bridge. Gone are the days of putting together reports to share with your paid search team. Google Tag Manager’s setup features the ability to turn a variable piece of information on your site, like when users click the “Checkout” button, into a transferrable piece of data that is sent to the rest of your marketing team. Your team will instantly know which ads, keywords, or campaigns are bringing in traffic. Oh, one more thing: did we mention Google Tag Manager is free? Yeah, that makes our day too. If you have questions about Google Tag Manager or you more ways to optimize your conversion tracking, call us. We’re pros at this sort of thing. About HyperX: We’re the marketing experts. We’ve been leading the industry in digital advertising, marketing automation, content, design and development since the internet first hit households. We’ve outlived all the other agencies because we’re the best at what we do. We can help you.